Platinum Studios, Inc. (OTCBB: PDOS), an entertainment company that controls an international library of more than 5,000 comic book characters which it adapts, produces and licenses for all forms of media, and It Books, an imprint of HarperCollins Publishers, announced today the release of the paperback edition of the New York Times bestselling graphic novel Cowboys& Aliens on June 28, 2011, leading up to the feature film release on July 29, 2011. 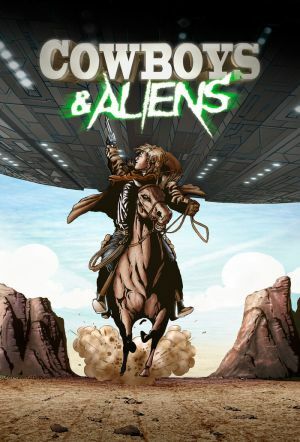 Cowboys & Aliens tells the story of an alien invasion in the Old West in the late 19th Century. The hardcover graphic novel by Platinum Studios, Inc. Chairman and CEO Scott Mitchell Rosenberg appeared on the New York Times bestsellers' graphic novel list reaching as high as #3. A feature film version of Cowboys & Aliens, starring Daniel Craig and Harrison Ford, directed by Jon Favreau ("Iron Man 1 & 2"), executive produced by Steven Spielberg and produced by Brian Grazer, Ron Howard, Alex Kurtzman, Roberto Orci and Rosenberg will be released in North America on July 29, 2011 via DreamWorks and Universal Pictures with Paramount Pictures handling the international release of the picture. "Cowboys & Aliens" is just one of the properties Platinum controls among a multi-universe library. Platinum remains independent of major entertainment studio affiliation while Marvel is owned by Disney and DC Comics is owned by Warner Bros.